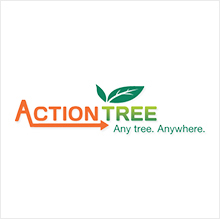 Action Tree Services can tackle any job you have, no job too big, no job too small. They are locally owned and operated in the Okanagan and have grown significantly over the past 25 years; today they own the regions largest fleet of 30 and 40 ton trucks, hard to miss in their bright yellow paint. 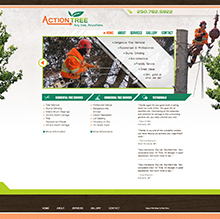 The Action Tree website serves up desktop, tablet and mobile views and is super charged with Search Engine Optimization, Remarketing campaigns and PPC Campaigns. 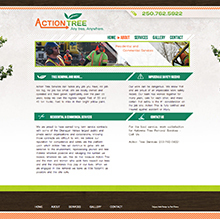 Digital marketing including search engine optimization. 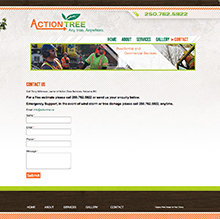 Mobile and Desktop views for the website. Clear top level messaging aimed at persona's. 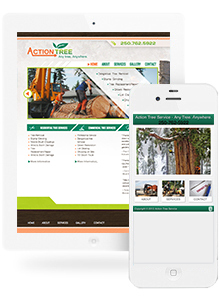 Social Media Marketing and Pay Per Click campaigns assist in the digital marketing.